As the explosion of inbound marketing continues, lots of businesses are leaving traditional mediums and poorly designed websites behind and putting their energy and budgets toward the comprehensive marketing approach that inbound offers. 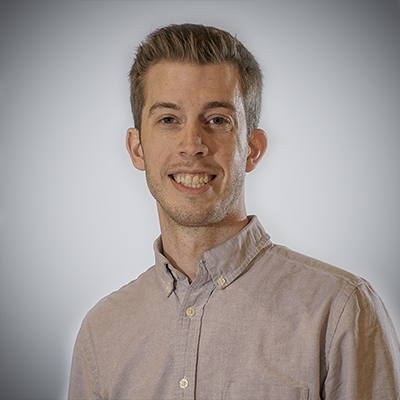 If you go to an event like Hubspot Inbound 2014, you hear lots of glory stories about how inbound marketing principles saved some small business or revolutionized the sales funnel for another. While everyone wants their business to grow exponentially and love to hear about the modern marketing miracles that inbound marketing can provide, how do you know if you're the right person, team, and business for inbound? Here's three things I think can be a red flag if you're considering changing your marketing strategy. Inbound isn't for you if... you don't have the time. Lots of people want to preach about how marketing automation is the future and that "set it and leave it" strategies will continue to provide you amazing results after weeks and months of the same thing. The reality is that you need to spend a lot of time every week to maximize the potential of your inbound marketing efforts. From creating buyer personas to premium content to social media evangelism, there's a lot of components to modern digital marketing that will take a lot of time. That's part of the reason so many small businesses turn to a Denver marketing firm to help them manage their campaigns and grow their business. There's so much to be done, and so many people just don't have the time to invest, so they are upset when their results don't change. Inbound isn't for you if... you don't want to do it all. Too many times I hear from people that they want to do inbound marketing, but they don't want to redesign their website, and social media is a waste of time, and they don't know what they would blog about. The entire point of inbound marketing is a comprehensive mix of marketing tools, that all build from and complement each other. When you only do the part of digital marketing that you want to, or are easy, or you're doing already, you might see some improvements, but not nearly what it could be if you started doing them all. The biggest culprit here is content marketing. Yes, it's great to blog frequently and write ebooks that harvest some information from potential leads. But without a website designed to draw people towards those offers and email marketing campaigns to nurture them, content marketing won't make the difference you want it to. Don't treat inbound marketing like a grab-bag where you can pick and choose what you want to do. Find ways to implement the whole range of techniques and you'll see the results. 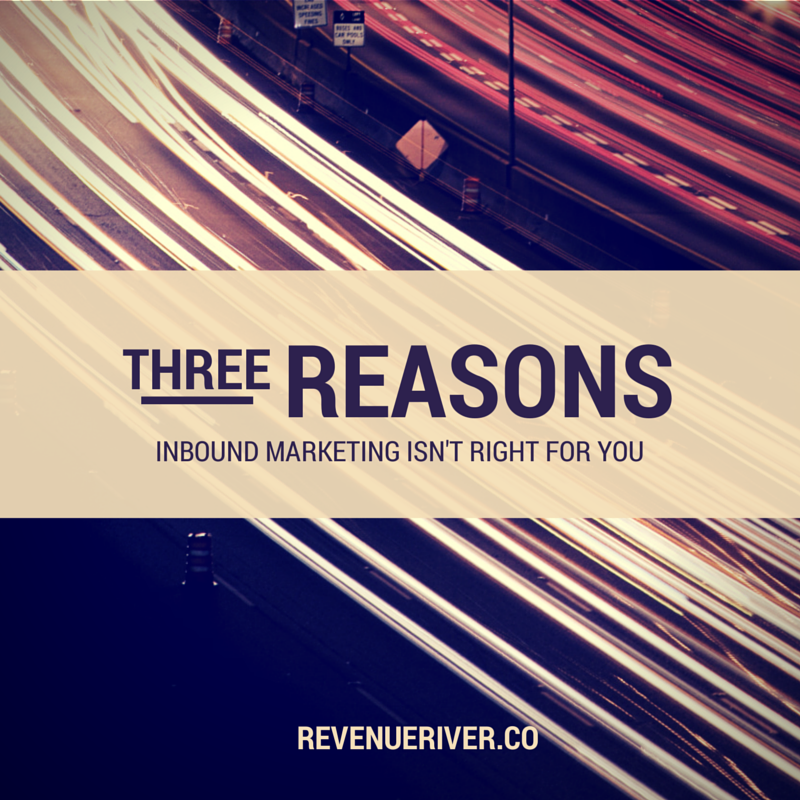 Inbound isn't for you if... you don't have the right business. This isn't something that Hubspot people talk about often, but the fact is, inbound marketing does not work for every business. There are many reasons why that could be the case. Some business owners don't buy into the inbound philosophy and are stuck in their ways, and they want better results without changing too much of their marketing. Sometimes the business model just doesn't fit the strengths of inbound, and there isn't enough volume of potential traffic in your target audience to reach people through content and social media marketing. I'm a huge believer in inbound marketing, don't get me wrong, but I've seen enough campaigns and spoken to enough clients to know that inbound isn't the miracle solution for every business. It's easy to buy the hype and expect 200% growth, but make sure you really dig down into what you have, what you do, and what you need, before you start your new marketing campaign. Before you go buying new marketing products or signing a contract with an agency, examine all the options available to you and examine your mindset. Are you willing to try something new, and let all the parts of inbound marketing work in harmony together? 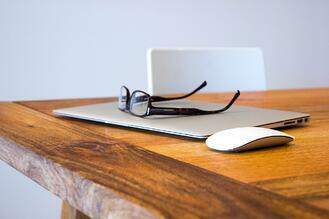 Do you see the vision for how inbound can help you reach new business in your industry? Don't get blinded by the perfect ideas of inbound, and get down to the nitty-gritty of how you (or your agency) can apply the best practices of digital marketing to get new customers through your door. If you are curious about inbound marketing and if it might be right for your business, we'd love to talk to you!